ZIMBABWE’S year-on-year inflation rate for the month of March, 2019 spiked to 66,80% under the new base used to calculate the consumer price index, the statistics agency said yesterday, but noted that under the old basing system it used until February this year, the rate had shot up 166%, confirming that Zimbabwe was already in a hyperinflation environment. “With effect from March 2019 ZimStat (Zimbabwe National Statistics Agency) is publishing the new consumer price index (CPI) with new weights and a classification in accordance with international guidelines,” ZimStat said. ZimStat said users who wished to continue using the old series should multiply the current all items index with a new base of (Feb 2019=100) by a conversion factor of 1,5918111. “For instance, if ZimStat had continued with the old base (2012=100), the March 2019 all items CPI was going to be 166,154,” it said. Economist Steve Hankie posted on microblogging site Twitter that the actual inflation rate was more than 200%. Economist Kipson Gundani said the current inflation figures were emanating from confidence deficit bedevilling the economy. self-accelerating and we continue to plunge deeper and deeper,” he observed. Former Finance minister and chairperson of Parliament’s Public Accounts Committee, Tendai Biti, said the country was nearing hyperinflation. “I have no doubt that we are nearing hyperinflation once month-on-month gets to above 80% … It is a dog’s breakfast created by a cabal of people who are very good at lying and creating propaganda, but the ordinary person on the streets can feel the pain of this economy in their bones,” Biti said. 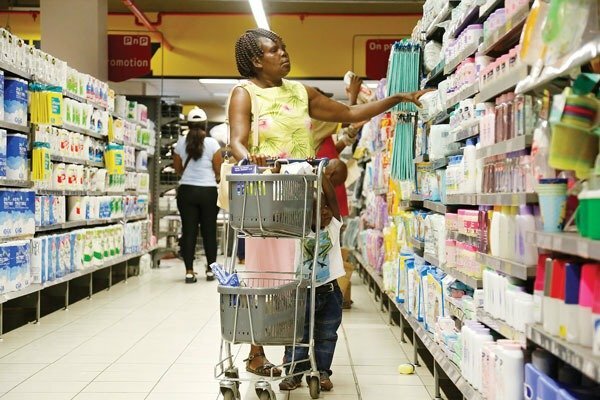 According to ZimStat, under the new base, prices, as measured by the all items CPI (consumer price index), increased by an average of 66,80% between March 2018 and March 2019. Food and non-alcoholic beverages inflation prone to transitory shocks stood at 78,55%, while the non-food inflation rate was 61,19%. According to ZimStat’s month-on-month calculations, the inflation rate was 4,38%, gaining 2,71 percentage points on the February 2019 rate of 1,67%. food inflation rate stood at 4,05%, gaining 3,35 percentage points on the February 2019 rate of 0,70%. In 2008, Zimbabwe’s inflation reached 500 billion percent, rendering the local currency worthless and eroding savings and pensions. The post Year-on-year inflation rate jumps to 66,8% appeared first on NewsDay Zimbabwe.